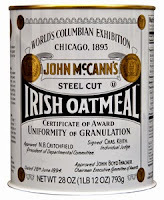 For years my husband insisted that we should only buy McCann’s Irish Oatmeal, but I generally bought whatever steel cut oats were available and just refilled the McCann’s tin with them. I honestly didn’t think one brand of steel cut oats could possibly be that different from another. I was wrong. But it turns out, so was my husband. Recently I got a sample of Flahavan’s Irish Oatmeal. The company has been around for over 200 years and is still family owned. They grow and mill their oats in Ireland. They claim their unique milling—kilning their oats with outer shells, a kind of malting process—helps to retain natural texture and golden color and yields a very creamy taste. 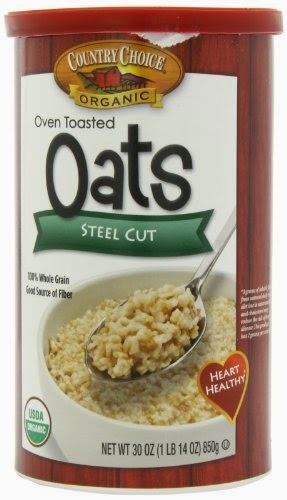 The oats tasted great, but were they better than any other steel cut oats? The only way to know for sure was to do a blind taste test. So we tasted four different brands of steel cut oats: Bob’s Red Mill Steel Cut Oats, McCann’s Steel Cut Irish Oatmeal, Flahavan’s Steel Cut Irish Oatmeal and Country Choice Organic Steel Cut Oats. I cooked each according to the package instructions. They all looked about the same, but the flavor, texture and creaminess were different for each one. We tasted them without any flavorings or toppings. I don't know if you'd notice the subtle differences unless you were trying them side by side. But there were two clear winners amongst the four. 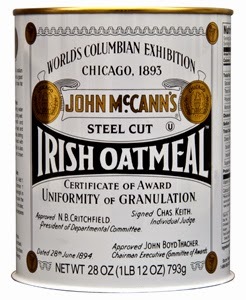 McCann’s Steel Cut Irish Oatmeal while possibly the most well-known brand was the least liked of the steel cut oats. The flavor tasted off, even though the oats were cooked with the same water, they had a slight chemical like aftertaste. They also didn't achieve the same creamy texture of the other brands. 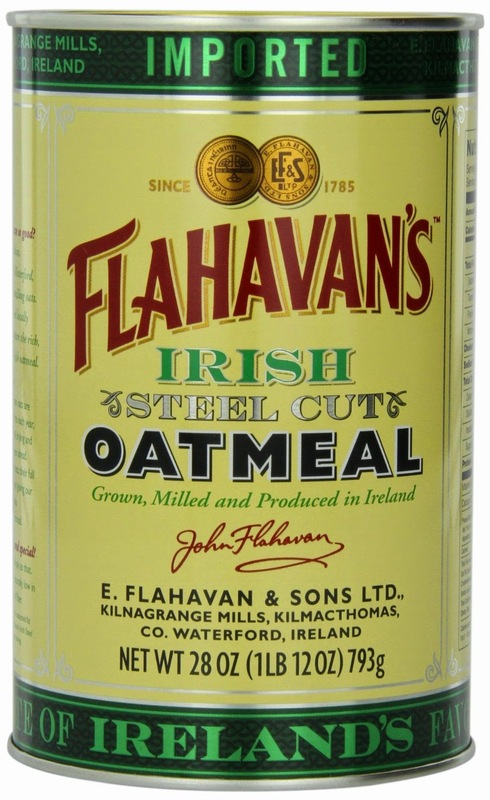 Flahavan’s Irish Steel Cut Oatmeal was the number one choice and clear winner when compared with the others. It had the richest flavor and the creamiest texture while still maintaining the chewiness of the oats. The oats had more natural sweetness, even without any sugar added. 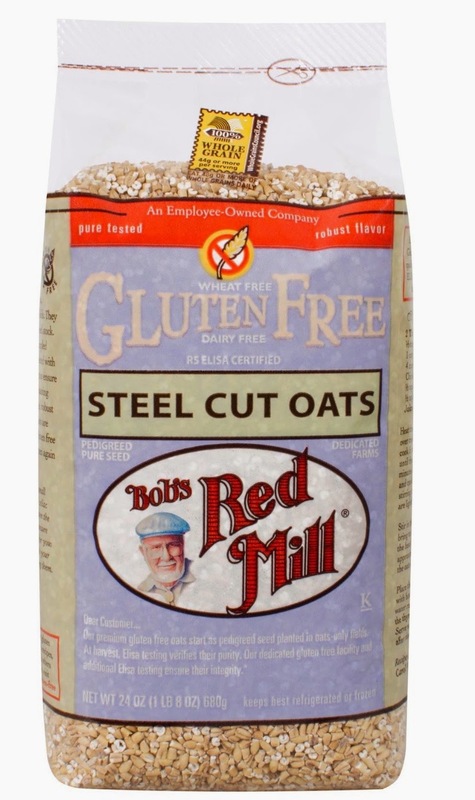 Bob’s Red Mill Steel Cut Oats were good, creamy, a solid second choice. They were the only oats that required cooking with a lid. That may be why they cooked a little bit quicker than the other brands. They were also the only gluten free labeled oats. Country Choice Organic Steel Cut Oats, the only organic brand in the test was the third choice. Despite being toasted, the oats were a bit bland. They weren't bad, but not great either. Now that you know which oats to cook, you'll need to know how to cook them and eat them. Steel cut oats need to be cooked low and slow, and with some salt. Depending upon how you like your oats, you’ll want to cook them for 20-30 minutes. You can also soak them the night before serving them, which will shorten cooking time. Top your oats with anything you like but popular toppings at my house include butter, milk, brown sugar and raisins. A word about quick cooking steel cut oats, they can be quite tasty and certainly are convenient, but you won't get the same texture of the long cooking oats. Disclaimer: Although I received samples of Flavahan's, the other oats I purchased and the tasting was done blind. I was not compensated monetarily for writing this or any other post on Cooking with Amy.